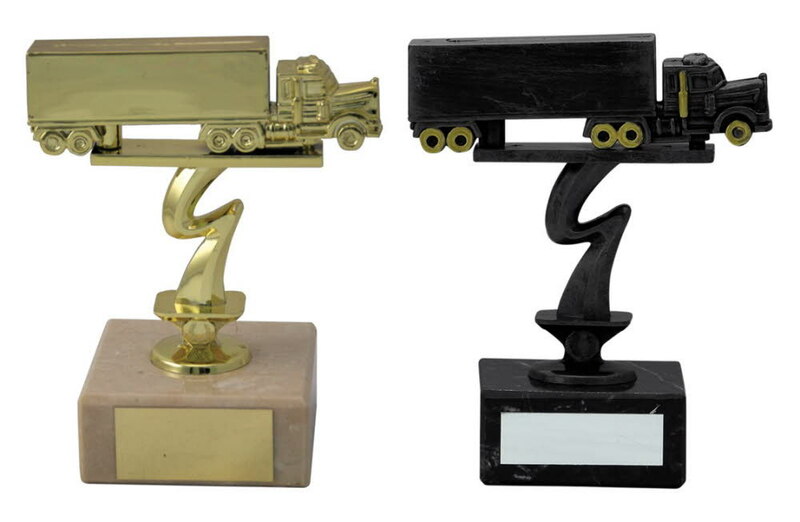 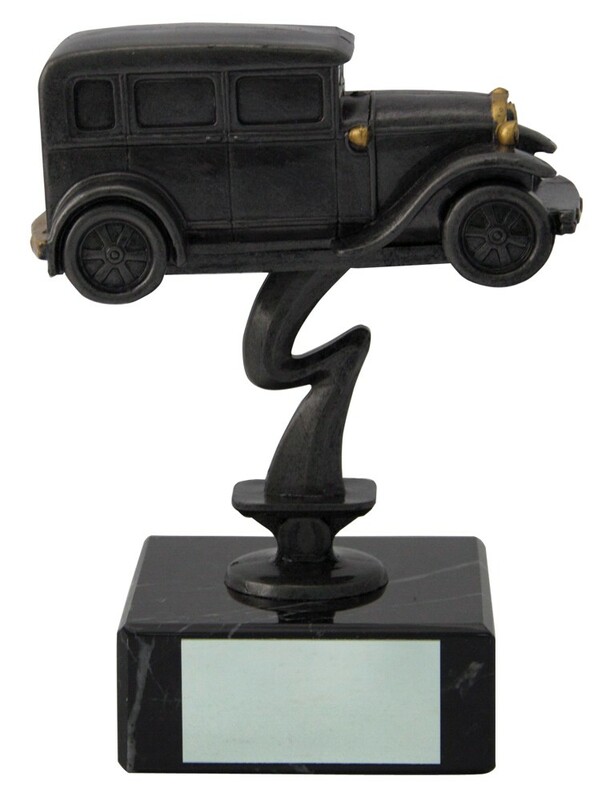 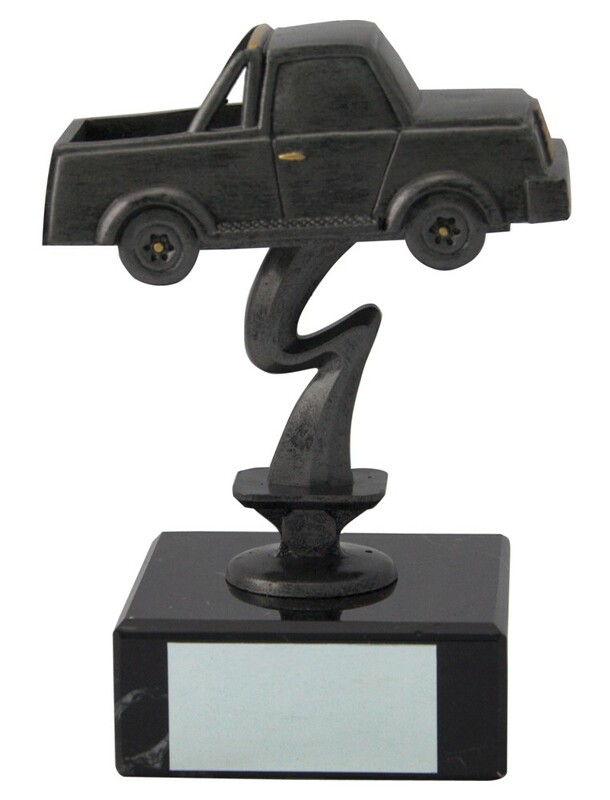 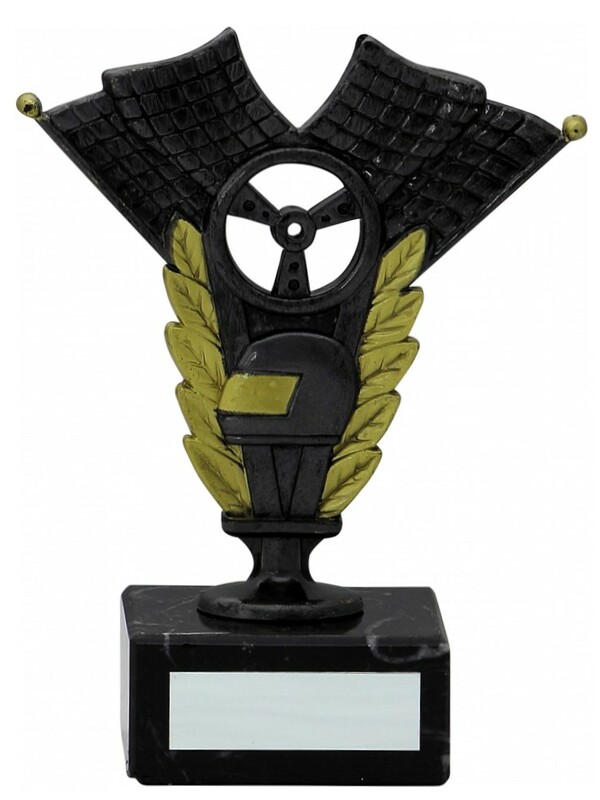 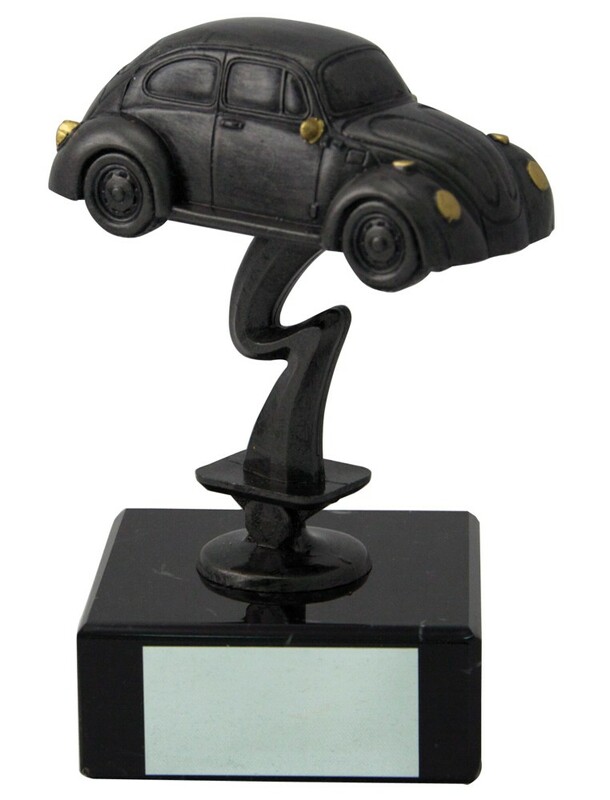 Many to choose from from the motor vehicle range, approximately 140mm high depending on the figure you choose. 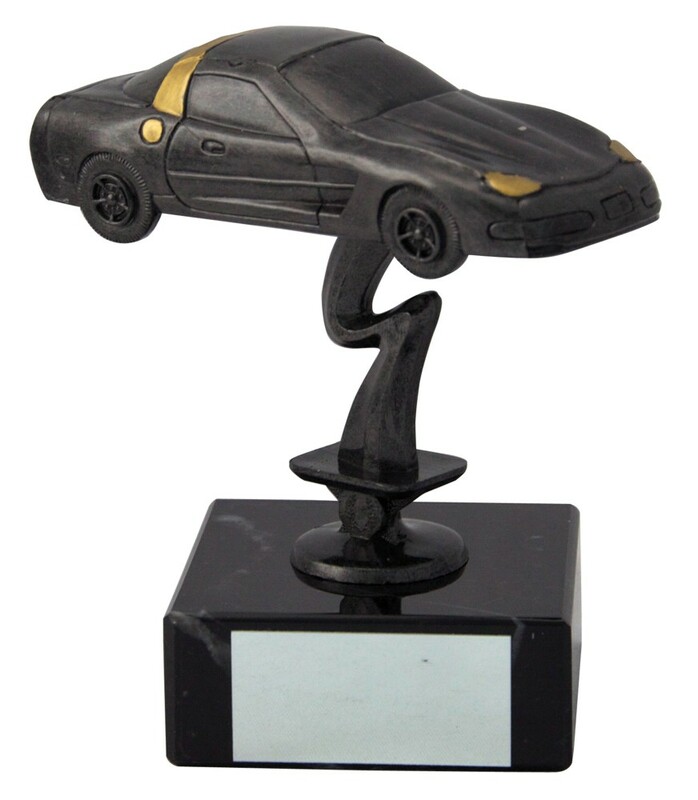 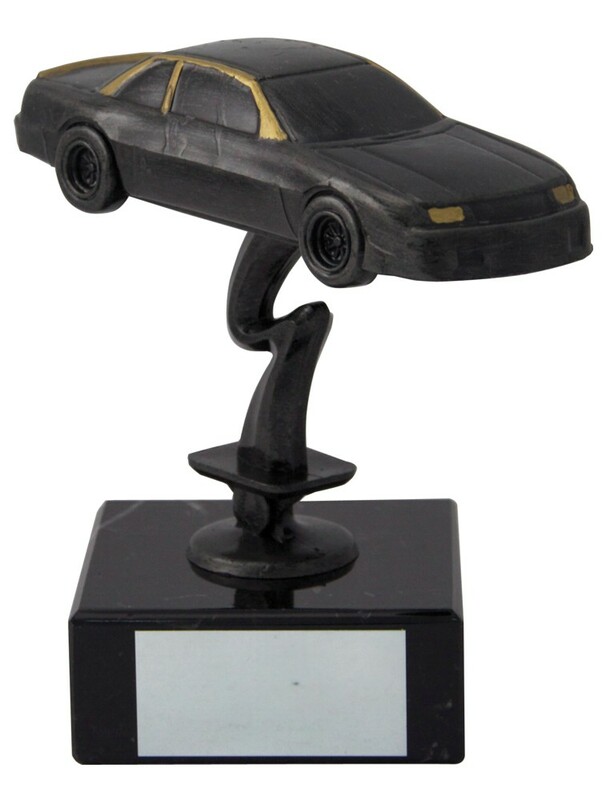 The plastic figures available are :- STOCK CAR, STEERING WHEEL, CORVETTE, BEETLE, VINTAGE, CHEVY 57, OFF ROAD, PICK UP, LORRY GOLD, LORRY SILVER. 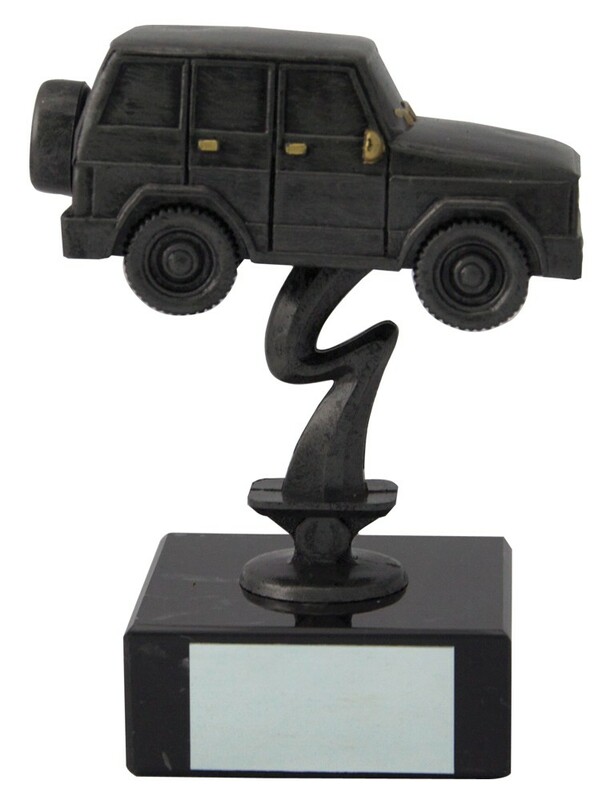 All figures are mounted onto a heavy marble base. 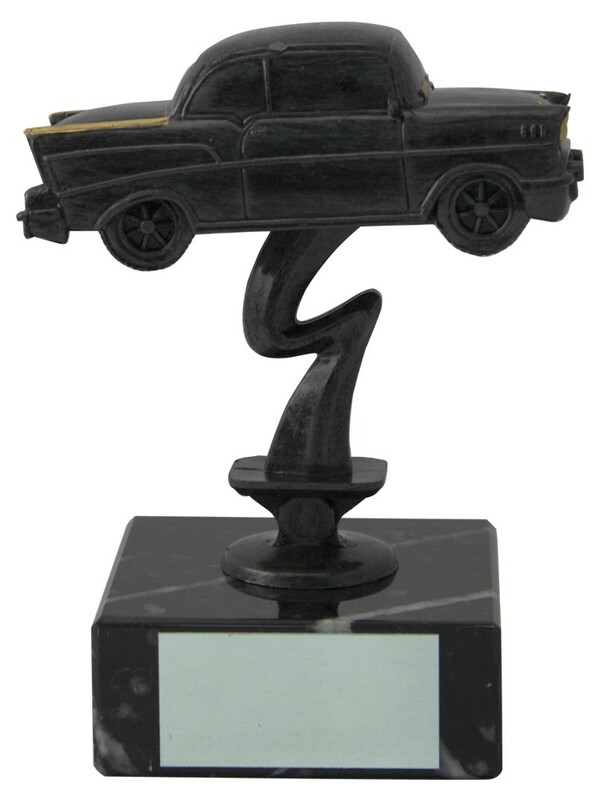 Free engraved plate included.